Soak Up the Sun: There are many HHHunt communities that have great playgrounds and lots of open green spaces! For example, our Providence community in Ashland includes over two miles of walking trails and sidewalks that wind through the community as well as a community park area with fire pit and a pavilion. These open spaces are the perfect place to play with friends or enjoy a family picnic. Plus, so many of our homeowners have beautiful yards and gardens. We love hearing the sounds of cookouts and chasing lighting bugs on a summer evening! Pool Time: It’s hard to imagine summer without the pool. There’s no better way to cool off! 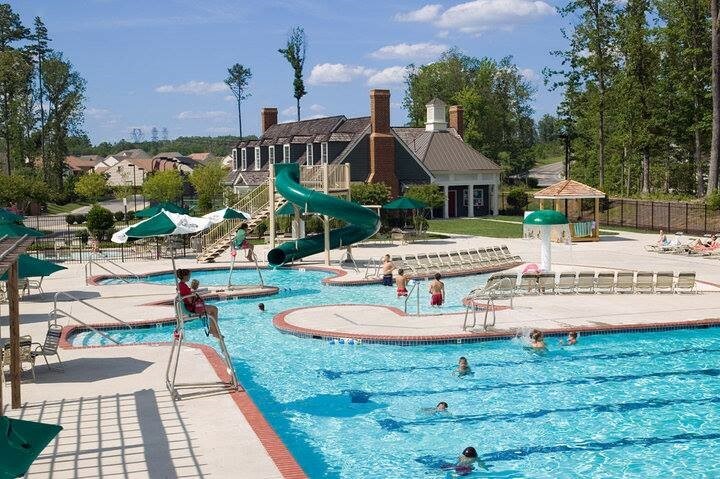 Many of our communities have sparkling pools that are often the most popular spots in the neighborhood. In fact, our White Hall community near Williamsburg just opened their new pool last weekend and it’s already the go-to spot. 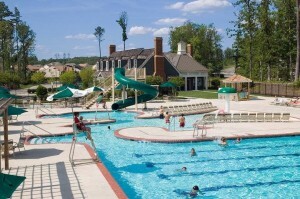 What makes the pool at an HHHunt community even more enticing is the incredible array of fun events. From community gatherings to float nights to late night swims, our pools remain among our homeowners’ favorite amenities! Stay Active with the Y: Another great benefit of an HHHunt community is our close proximity to local YMCA branches. Many of our communities include a Y or are located just the down the street from one. The Y offers a great assortment of summer programs for kids and adults. Of course summer camps at the Y are always popular and a lot of fun! Check out the summer camp options at the Greater Richmond YMCA and you’ll find many near our communities. Adventure Time: No summer is complete without at least one adventure! From heart-pounding roller coasters to entertaining performances, Kings Dominion and Busch Gardens Williamsburg have something for everyone. Both amusement parks have special rates on certain days in the summer and make a great family destination. The best part? Kings Dominion is a short drive from many of our communities in the Richmond region and Busch Gardens is close to our White Hall community near Williamsburg. It’s hard to beat a fun day the park, especially if it’s only a short trip away. These ideas are just a few ways to enjoy summer with your family! At HHHunt Communities we believe that it’s how you live that matters and we create communities of great distinction where you can make lasting memories! Our communities feature architecturally distinct homes, organized events and activities, central locations, fabulous green features, and more. 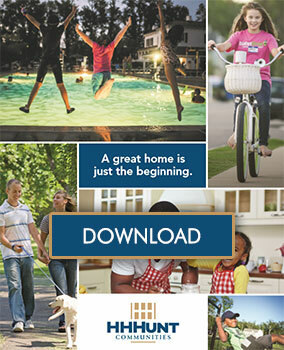 Discover the HHHunt difference for yourself and tour one of our communities today: https://www.hhhuntcommunities.com/find-your-community.php. ← New Amenities Shine at White Hall!